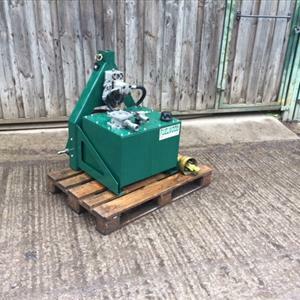 Fuelwood (Warwick) Limited has been a specialist in forestry and timber conversion machinery since 1996. We design and manufacture our own brand of machinery firewood production and we are also sole UK importers of Japa firewood machines, Heizohack wood-fuel chippers, Lucas Mill mobile sawmills, AMR log splitters & FTG Mowi and Avesta-Vagnen timber cranes and trailers. Based at our 30 acre woodland site in Warwick. Due to increasing demand for our products we are expanding our service team and wish to recruit an additional experienced mobile Agricultural Engineer to join our small, skilled workforce. Provide an in-depth working knowledge of machinery supplied by Fuelwood to allow fault diagnosis. Carrying out routine service work either at a customer’s or Fuelwood’s premises. Show initiative to solve problems. Be confident in general fabrication for service work. Understand high and low voltage electrical circuits. Be keen and confident to learn how to use our machinery to develop a working understanding and pass on knowledge to our customers. Attend demonstrations and shows as required. The successful candidate will have previous experience in Agricultural/Forestry, HGV, Plant or similar maintenance field. Good communication skills and a willingness to learn are essential. Must be able to work independently but also be a team player.